I asked my husband to read this book, and while he liked it, he didn’t enjoy it as much as I did because, as he said, its audience is women and girls. I think that’s true. This is really a feminist book, couched in comedic riffs on gender-based issues and raising children. Fey has a lot of great advice for girls who will soon go to college or enter the workplace. Granted, she doles it out with some off-color language and some bawdy stories, but her points are well-taken. I think one of the most important is this: male coworkers will always question what you do and tell you they don’t like what you do. If the man is your boss, you have to figure out how to get through that. But if the man who questions you or your motives is just another coworker, you just need to tell him that you don’t care what he thinks about what you do or say. That’s advice I wish I’d had as a young woman, new in the working world. Some teachers have asked students to read a biography by a famous American. Unfortunately, students can usually only think of two famous Americans and everyone tries to get the same two books. So, when you get this assignment, think about Bossypants. It’s a lot if fun and Fey’s advice is pretty solid. 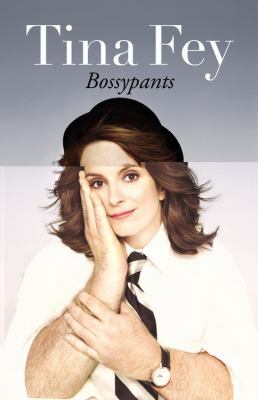 This entry was posted in Biography/Memoir, Non-fiction and tagged autobiography, comedians, humor, Tina Fey. Bookmark the permalink.